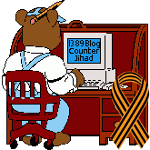 Croatia — 1389 Blog - Counterjihad! in 1389 (blog admin), Croatia, Serbia, Ukraine, WTF? in 1389 Blog Mailbox, Croatia, European Union, FAIL, Ukraine, WTF? Russia wisely refuses to admit UN ‘human rights’ envoy to Crimea – a Croat no less!